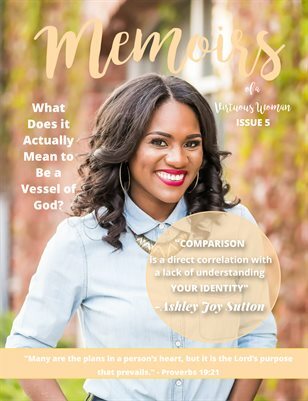 Memoirs of a Virtuous Woman's 5th magazine issue is now available in print or digital! It's the anniversary issue, focusing on Finding Purpose. What can you find inside? Challenging articles and memorable interviews. Ashley Joy Sutton shares all about how she is empowering women near and far. Megan Pettus shares how she is serving couples as they prepare for their wedding day and YouTuber Hannah Ashton shares how she is encouraging women of all ages through her various platforms.